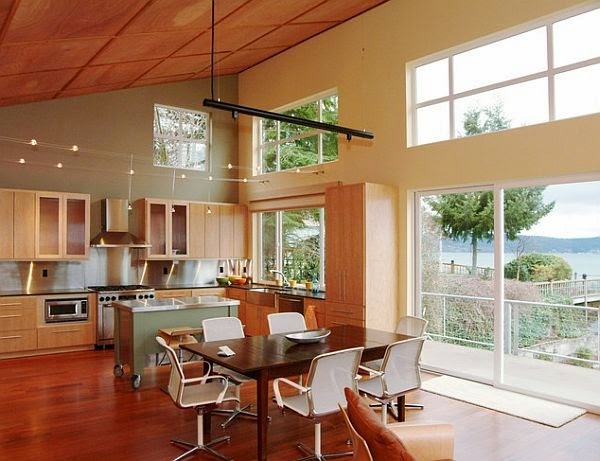 Alluring Indoor spaces is not far if you are willing to participate! Want to create an interior which is not a stereotype or of someone else but your own; reflects upon you and what you want? That which fascinates and makes you feel comfortable. The décor which you’re presently living with needs a change? Well there isn't really a need to invest in a lot of money or call on designers to work for your home/office. After all it’s you of whose reflection your space has to be. So why not trust yourself and go for it! There’s a few things with which you can make the charm happen . .
à Start with cleaning your way through the clusters of unused things and piles of paper/files, those unwanted pieces of tid-bits which generally don’t seek your attention, but fill in your sight and precious space unnoticed. This will make your place cleaner adding volume, as your room might even feel bigger. There would even be things you never realized should find a place in the cupboard, under your bed or in the storeroom. Don’t hesitate to move it all, after all change is good. à Adding A Hue: From the palette of your favourite colors, just choose that which is your very own, that which charms, amuses or relaxes you. While green is soothing; Black & White bring in elegance. Warm and rich, red is a flamboyant color and adds a bling to the space. Blue is that contemporary latest, orange eclectic and pink is so romantic. But just remember, don’t go on paint your whole walls in these deep rich colors. Just be patient and add it in lighter hues for larger areas and the dark-rich color always in small parts (like in cushion covers, a chair or two, the floor rug, the sofa cover or just a vase). Just be courageous and play around with color. Here point to REMEMBER is: using varied hues of the same color creates harmony and will add to the sophistication of your room. Other than this fresh bling the grays and browns play the game for you. Gray being a very contemporary color, can be used in conjunction with all the rich and pale colors, and feels very sober. à Going safe and classic is going for earthy shades of brown (inclusive of dark walnut and chocolate shades but even the light ones) and beige (off-white, cream). These can be used solo or used in tune with any of the rich colors to accent them. à For furniture and even on parts of your wall and ceiling, wood is a huge yes-yes if you are easy on budget. If you’re still in for the calm wood look, but wouldn't want to spend much, there are options for tiles and panels, with low cost and maintenance; and complete wood-like appearance. 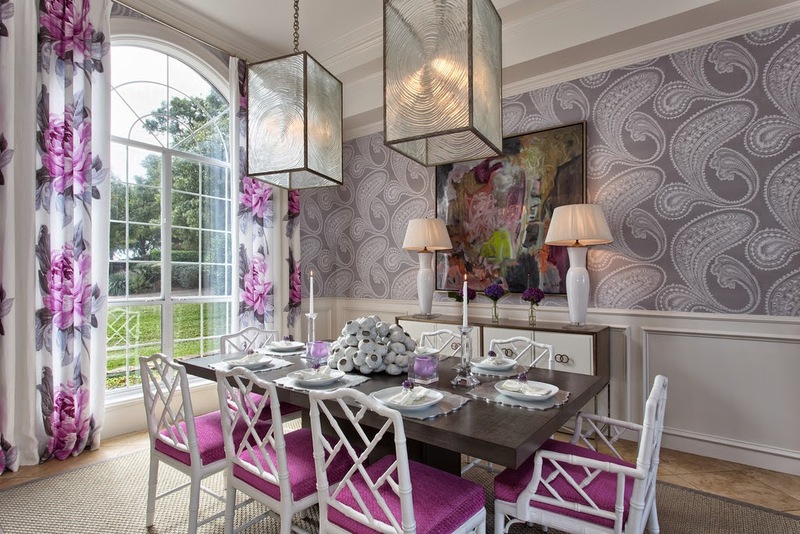 à When there are long walls to deal with, that long stretch that needs embellishment, wallpaper will work the best for you, giving you as much design and detail as you want to go for. For there are so many variants for pattern and color waiting out there in the market to be selected from, you have almost unlimited options to style your space your way. à Work with the lighting if you can. The standard tubelights are too regular and produce that uniform light. Chandeliers and pendent/hanging lights in addition to table lamps will not only brighten the space but also change the mood of the space giving it a new ambience and charm. à Well if you have not been able to find that perfect expensive painting to hang down from your wall, here’s a simple and effective measure. 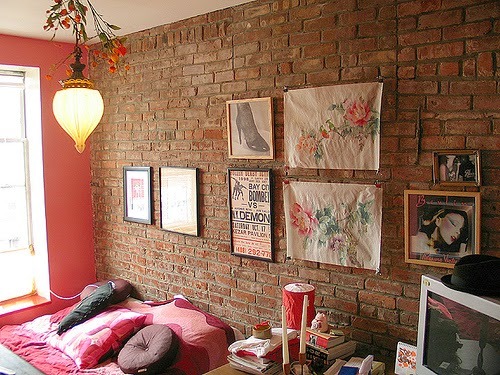 Instead of running out shopping, gather around what you are already in possession of: those small paintings, posters, any canvas or paper art that didn't find a better place, and put it all on one side of the wall and get the wall look so you. You may add it with quotes of love, humour or inspiration to add that special touch; this wall makes a mark that this place is yours. 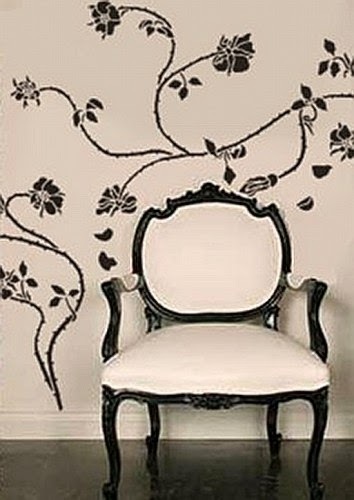 à Stencil Art or Painting art on the wall is a great economical way to style your plain wall. If you are willing to lend your artistic hand and sketch on, this can make your interior décor real interesting and lovably eye-catching. à For adding to light in your living rooms, putting up decorative mirrors is hugely in. For greater help, place them directly across the window. 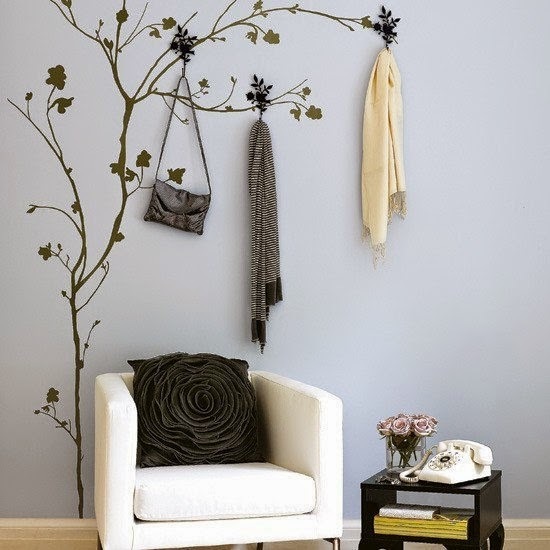 They fill up empty walls and will add up a new dimension to your décor. Truly! à Placing wicker baskets might help clean the clutter you are not able to manage otherwise from your living spaces. They will add elegance and storage capacity. You can use them to fill up all your magazines, newspaper, towels, blankets and so on.. to clear your space but still keeping your everyday stuff handy. à Accessorize it right. 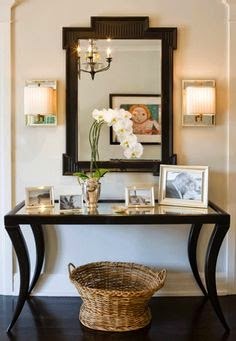 Gather all those trays, frames and candles from around the house that were not yet put to use or which were simply filling in. Bring them out and place them right. Remember to not add too many of things to make it look better. Vases and flowers are a great part of accessorizing. 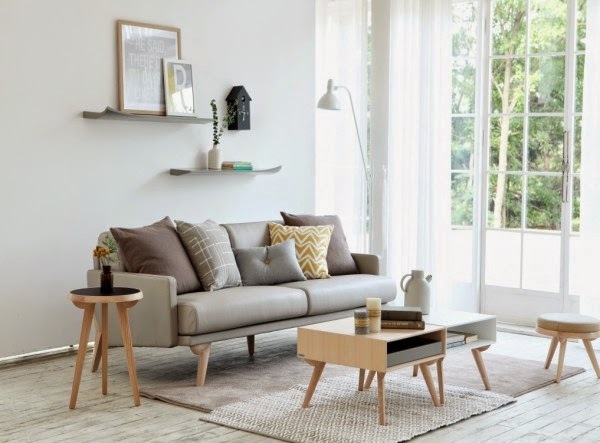 à Cushions and pillows can be added and changed seasonally to brighten up or calm down the feel in your room. 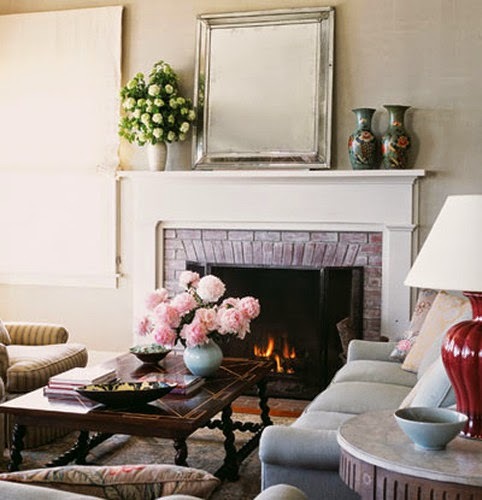 The variance in color, pattern and size will add newer dimension to your space along with coziness and comfort. 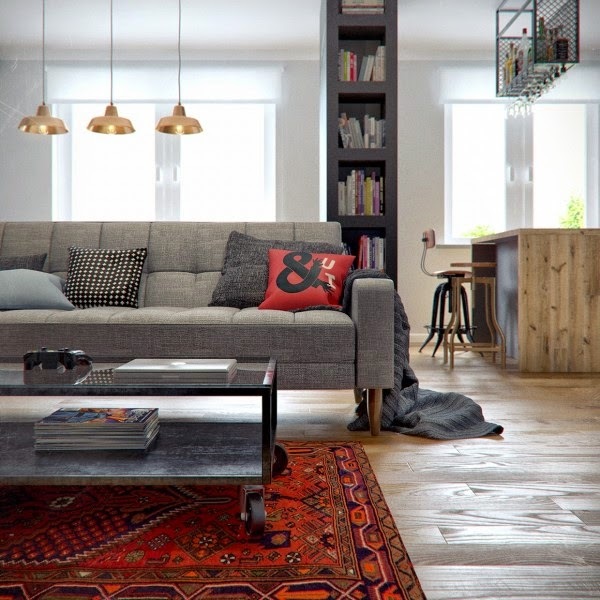 à Add floor rugs on those hard surfaces to add warmth and texture; the similar color tone as that of the floor mostly works best unless the space is too monotonous and you would want to add freshness with this new color. 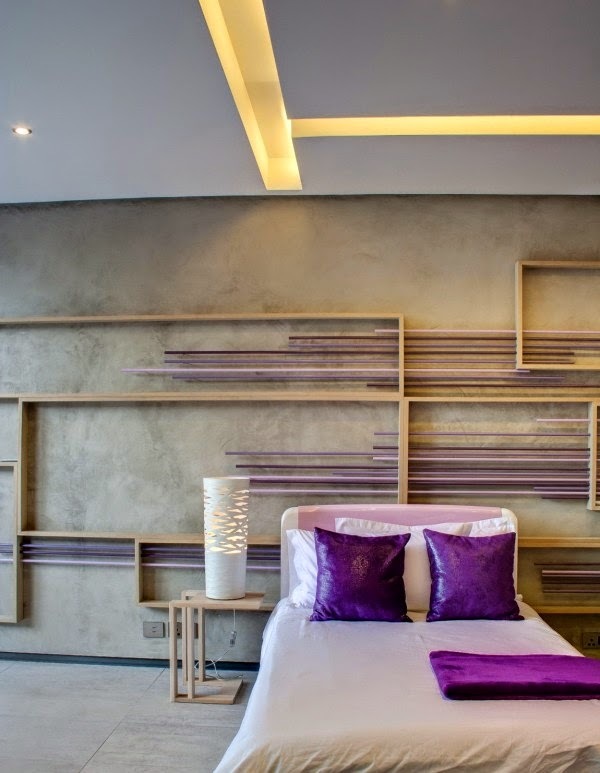 The subtle shades can be used thus to bring down or add up to the volume and color of the room. The more important part is, it must complement the furniture well. Here’s all what you will need to help yourself through reworking your interiors. Render your space a new personality, a personal touch, make a statement with your style! 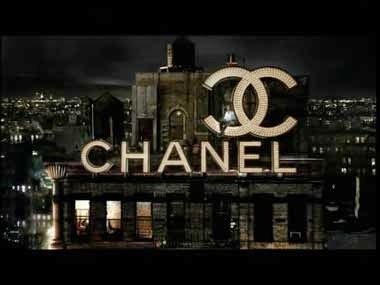 Chanel, a high-end fashion brand which specializes in haute-couture, ready to wear clothing & fashion accessories started back in 1909 in the streets of Paris as a joint business venture between Gabrielle Chanel(Coco Chanel) and a friend of hers Arthur Edward 'Boy' Capel who was a wealthy English Industrialist. The new fashion house intrigued France’s elite and fashion-curious mistresses. Gabrielle’s d­aring ways and a strong sense of fashion brought about almost a revolution in the then world of over-designed and constrictive 19th century women clothing into that of a luxurious yet comfortable feminine elegance. Driven by a vision for women clothing she even went on to use Jersey, a fabric then used for men’s underwear to drape women on account of its cheap cost at the time of war and its qualities as a garment. With strong ideas that “fashion passes but style remains”, she went about making a big name in the buyer’s market and succeed in fashion business; dominating the fashion world with her double C’s. But after her death in 1971, Jacques Wertheimer bought the controlling interest of the house of Chanel and hired Karl Lagerfeld to design for the brand and help bring it to newer lines of success & fame. Karl was then working for Chloe; but he quickly grabbed this opportunity. He is primarily held responsible for the opening of additional 40 stores and the business expansion of the brand around the world. As of now Chanel continues to stitch high-quality leather bags & women suits but more with a persona of Karl Lagerfeld than with inspiration from Coco Chanel. 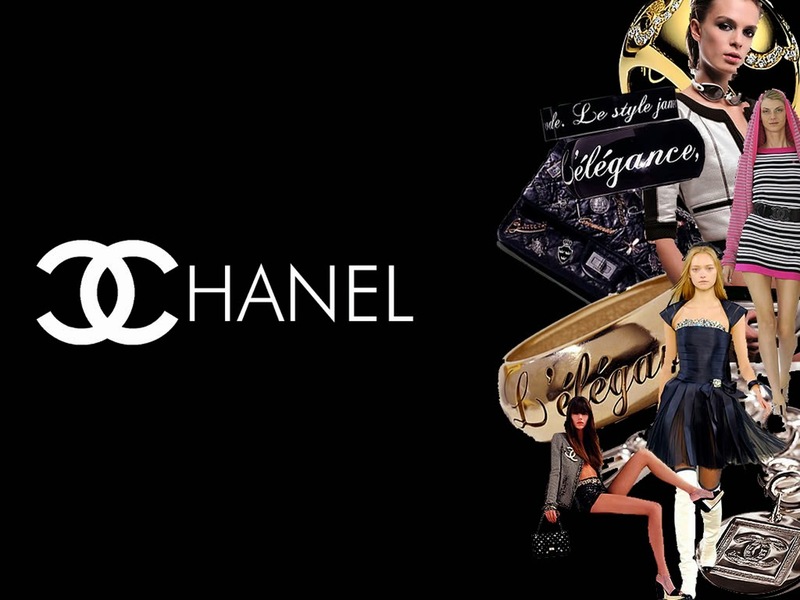 What is now speculated upon is that will the brand still be able to carry forward the classique style & bold elegance of Coco Chanel and grow as a legacy or fade into this competitive, ostentatious world of fashion?